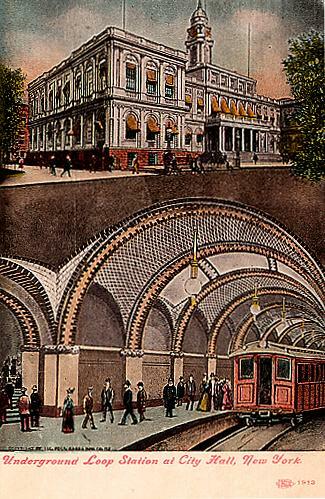 This unique view shows City Hall above ground and the subway station below ground. 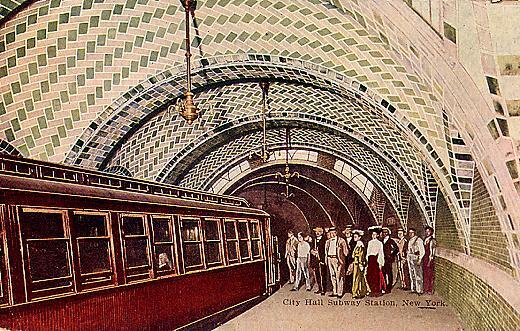 Passengers board at the City Hall Station. 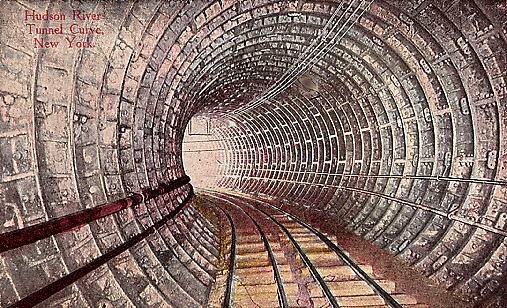 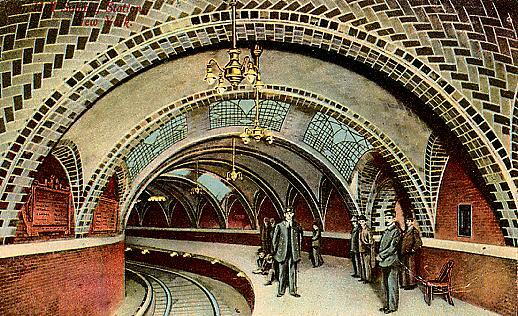 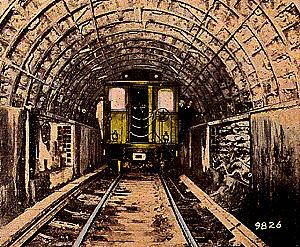 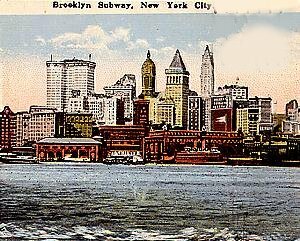 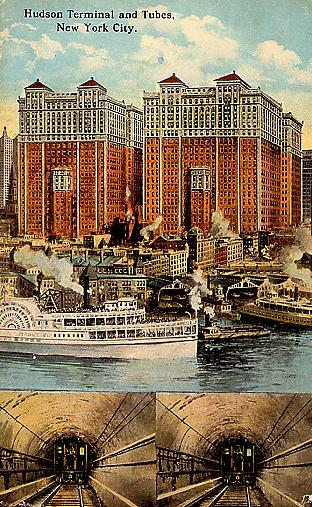 In the second chapter on New York, you will find more information about the Hudson Tunnels or Tubes that were built to reach Pennsylvania Station.